Alexei Brusilov was born in Russia in 1853. He was educated at the Imperial Corps of Pages and after joining the Russian Army served in the war against Turkey (1877-78). 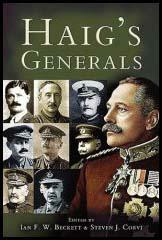 Promoted to the rank of general in 1906 Brusilov was given command of the Eighth Army on the outbreak of the First World War. Over the next twelve months Brusilov obtained the reputation as Russia's most successful general. In March 1916 Brusilov was given command of the South Western Army Group on the Eastern Front and led the offensive during the summer of 1916. On the abdication of Tsar Nicholas II in February 1917, the Provisional Government appointed Brusilov as Russia's new Commander-in-Chief. 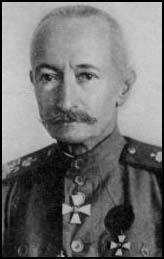 However, he was dismissed in August 1917 and remained on the sidelines during the Civil War Brusilov joined the Red Army in 1920 and served as military consultant and inspector of cavalry for the next four years. Alexei Brusilov died in 1926. 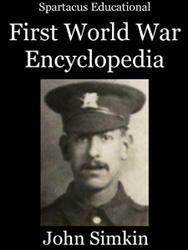 His First World War memoirs, A Soldier's Note-Book , was published in 1930.